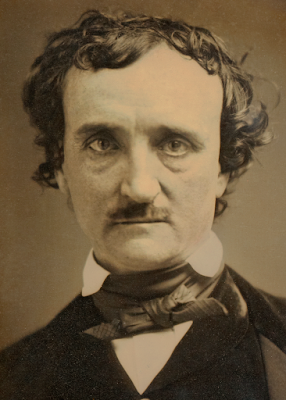 Michael Dirda at the Weekly Standard offers a piece on Edgar Allan Poe. Outside the afternoon had already grown sunless and gray as we settled into our seats in eighth-grade English class. Our teacher, without preamble, carefully lowered the tone arm on a rackety portable record player. There was a scratchy pause, and then, unforgettably, we heard a low and sonorous, but slightly manic, voice whispering: “True!—nervous—very, very dreadfully nervous I had been and am; but why will you say that I am mad?" It was Basil Rathbone, reading "The Tell-Tale Heart" and other stories by Edgar Allan Poe. We sat mesmerized, until the actor produced his final, blood-curdling shriek: "Here, here—it is the beating of his hideous heart!" At the time, I failed to recognize that the voice on the record was the same as that of Sherlock Holmes, but I already knew a little about Poe. My steelworker father used to recite: It was many and many a year ago / In a kingdom by the sea / That a maiden there lived whom you may know / By the name of Annabel Lee. That was about all he could remember. As a child, I loved the wistful sound of the words, just as I would later be taken by the tintinnabulation of "The Bells" and the mournful repetition of "nevermore" in "The Raven." 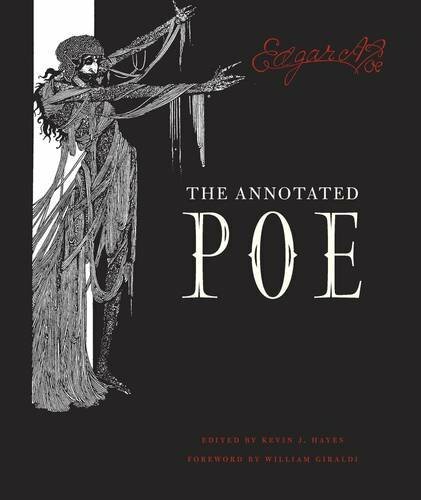 But when, in sixth grade, I had finally borrowed a friend's copy of the Signet Classics paperback of The Fall of the House of Usher and Other Tales, I found Poe disconcerting, even disappointing. ... My initial puzzlement about Edgar Allan Poe (1809-49) was hardly surprising. His fiction can seem too rhetorical, too thickly textured, too literary for most young people. Still, Basil Rathbone's recording did persuade me to give the writer another try—sometime. Paul, I do wonder about the enduring appeal of Poe, especially in view of his sometimes convoluted (very 19th c.) prose; I am surprised that modern readers have patience for his diction, syntax, and style even though I understand the readers' passion for the plots, characters, and themes.